Hey y’all! How as this month for you guys? It just flew right on by for me. I know I didn’t get to post much but better late than never! 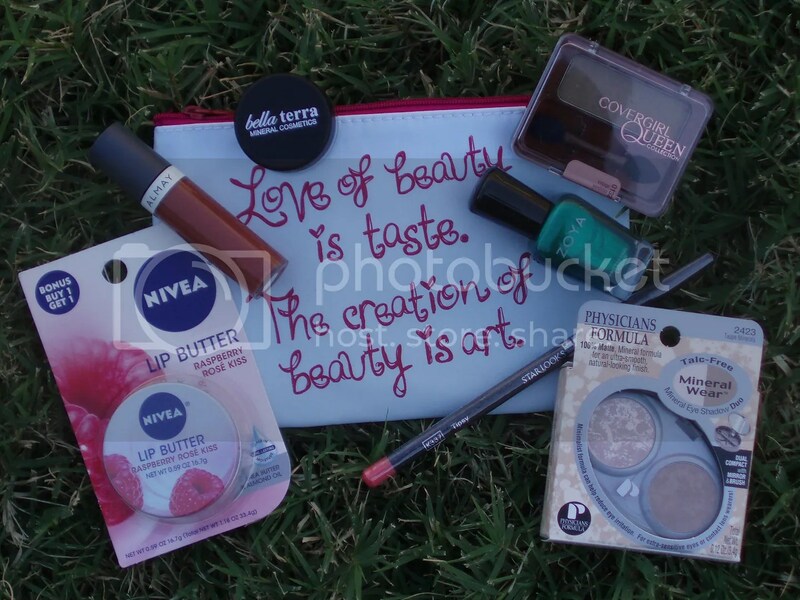 Here’s my take on the ipsy May 2017 Glam Bag. The bag is very cute and useful for summer! It’s the perfect size to toss in summer essentials like sunscreen, hair ties and lip balm. First item that caught my eye is the Briogeo Rosarco Milk™ Reparative Leave-In Conditioning Spray. I’m really into leave-in conditioners during the summer season especially if I’m swimming a lot. 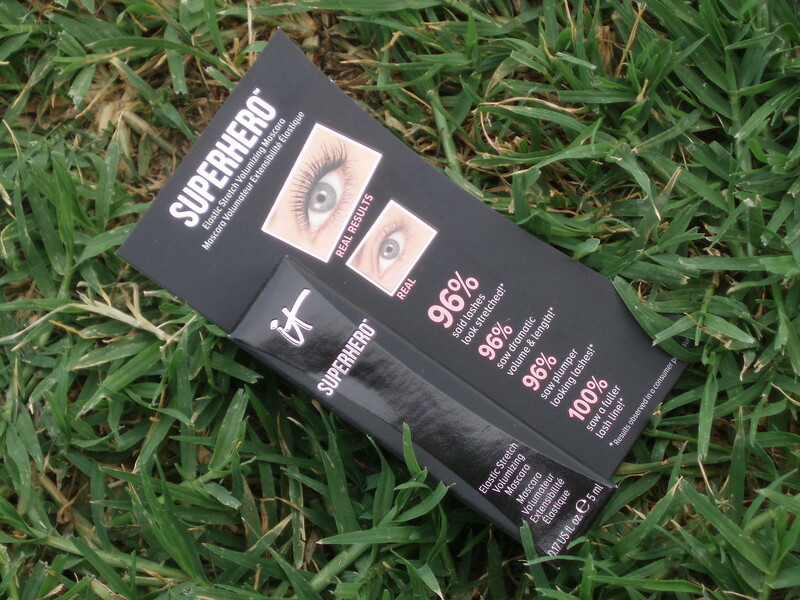 Next up is the IT Cosmetics Superhero Elastic Stretch Volumizing Mascara. I have a lot of mascaras open right now but I’ll save it for later. The shade I got this in is Black. 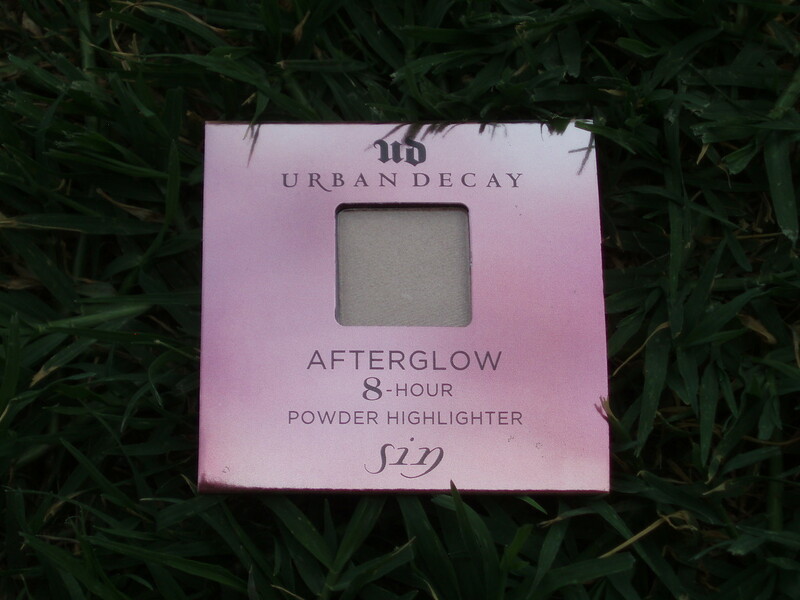 Then we have Urban Decay Afterglow. The shade I got this in is Sin. While I like this brand, I don’t really have a need for highlighter but I know one of my nieces uses it so I’ll pass this on to her. 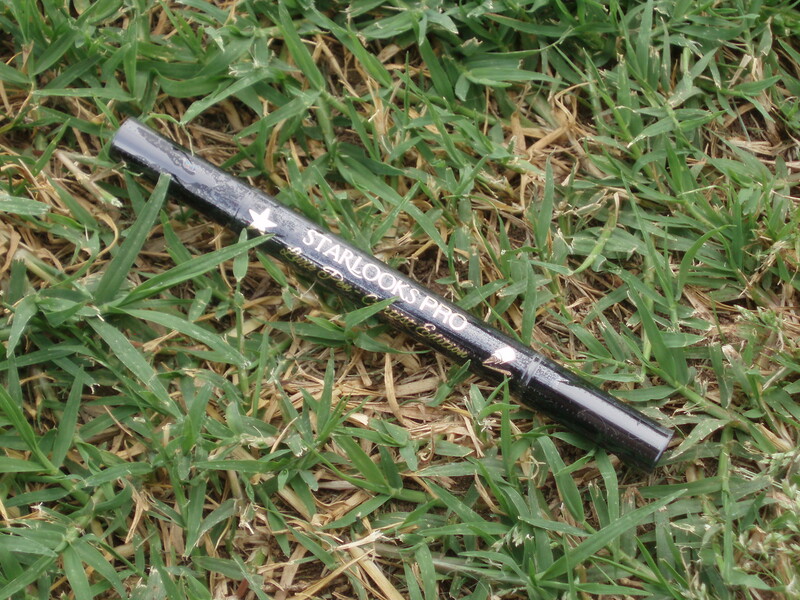 Next we have the Starlooks Artist Edition – Luxe Longwear Star Stamp + Liner Pen. I wish that they just gave more product instead of putting the cost towards the star stamp end. I don’t really see a use for it except for Halloween or a night out maybe. It’s not something I’d sport everyday (unless I’m Rainbow Brite!). 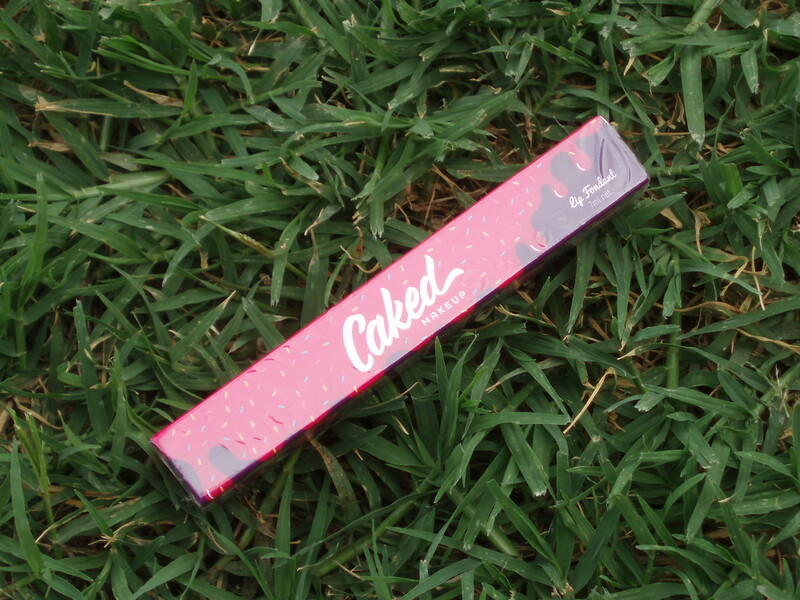 Last up is Caked Makeup Lip Fondant. The shade I got this in is Low Key. Overall, I think taking the quiz again helped. I liked this month’s offerings better than last month (which I didn’t even bother to blog about). I hope they keep it up for next month! Hey guys! It’s a beautiful day today here in sunny Oklahoma! Guess what arrived in my mailbox? It’s a little later than usual this month but it could be worse. 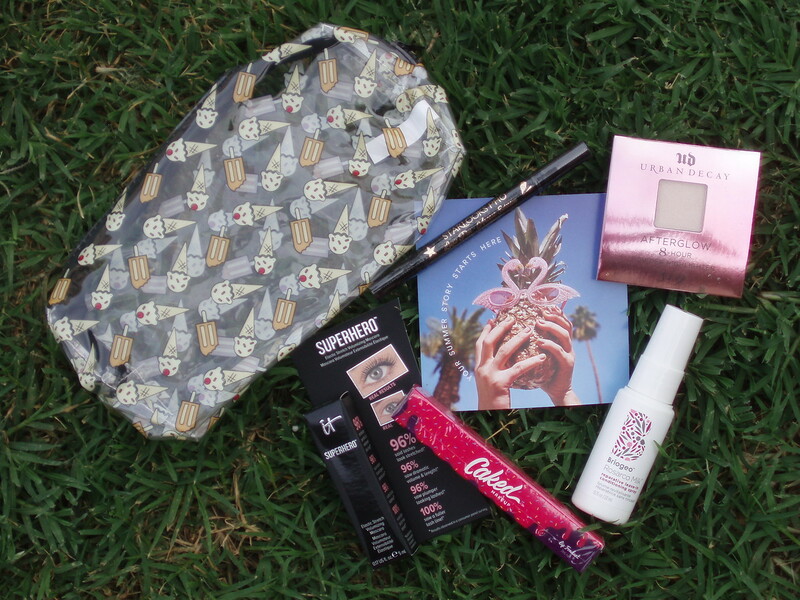 Here’s what I got in my ipsy February 2016 Glam Bag. I like the bag a lot but it already has some damage right by the zipper (the makeup brush is covering it in the above pic). Not sure if it’s the nature of the material or what but that’s a bummer. I emailed ipsyCare about it with a clear pic of the damage so we’ll see what they say. 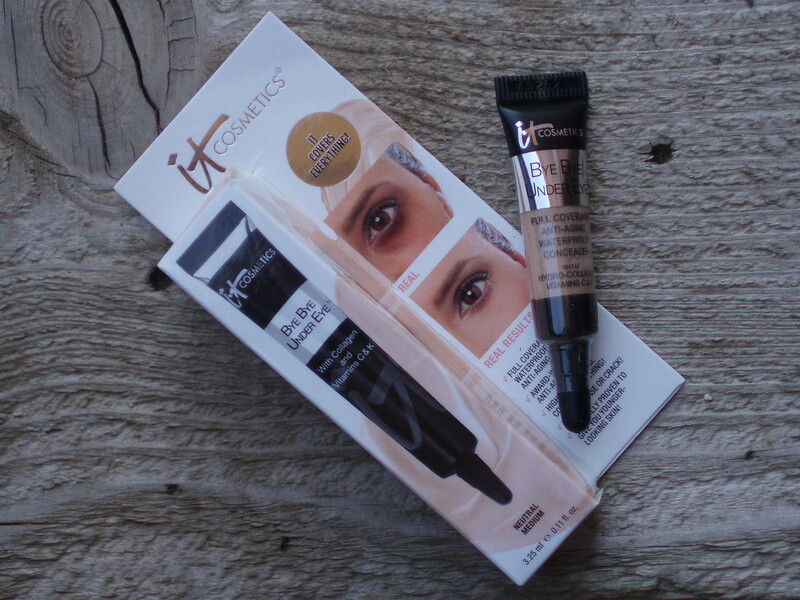 First item that caught my eye is the IT Cosmetics Bye Bye Under Eye® Anti-Aging Concealer. I love this brand and I LOVE this product. I have used a slightly different version of concealer from them before (IT Cosmetics Bye Bye Under Eye® Waterproof Anti-Aging Concealer) but this should perform on the same level as that. 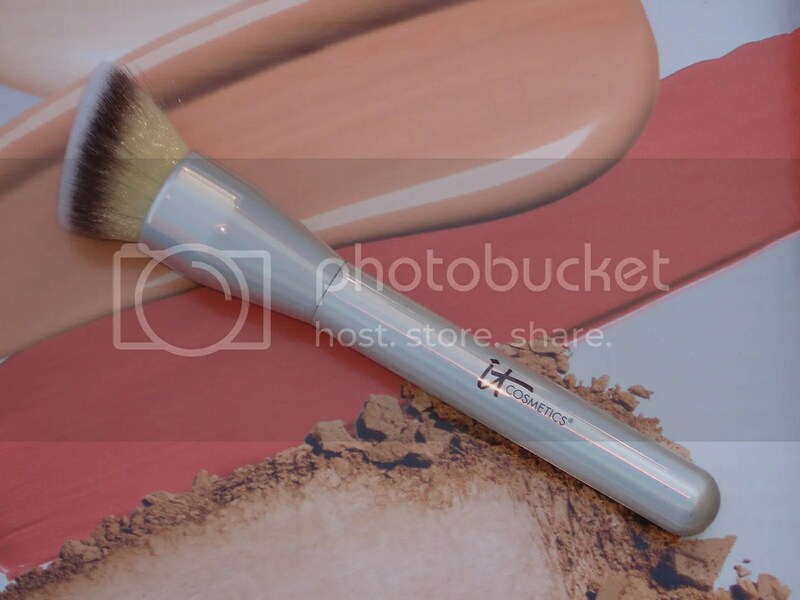 Next up is Luxie Beauty Flat Definer Brush 221. I don’t use makeup brushes much and have a ton already so this will go in a gifting pile. 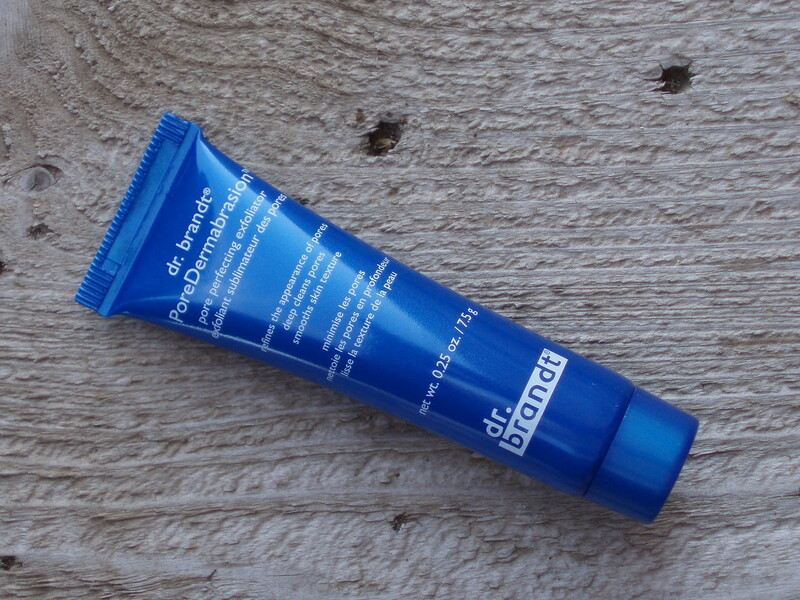 Then we have Dr. Brandt PoreDermabrasion. I love microdermabrasions so I’ll be trying this out very soon. 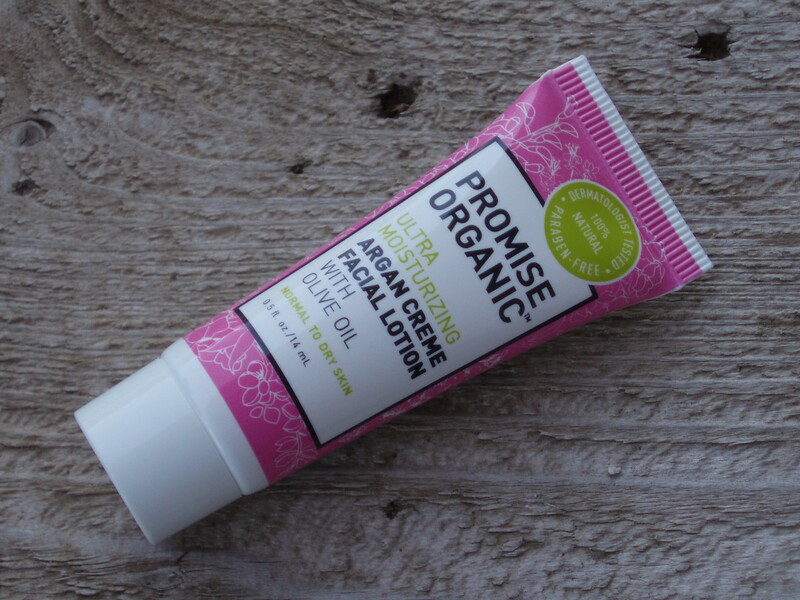 Next is the Promise Organic Ultra Moisturizing Argan Creme Facial Lotion. I just began a new facial skincare regimen so I’ll just save this up for when I travel. It’s the perfect size for it. 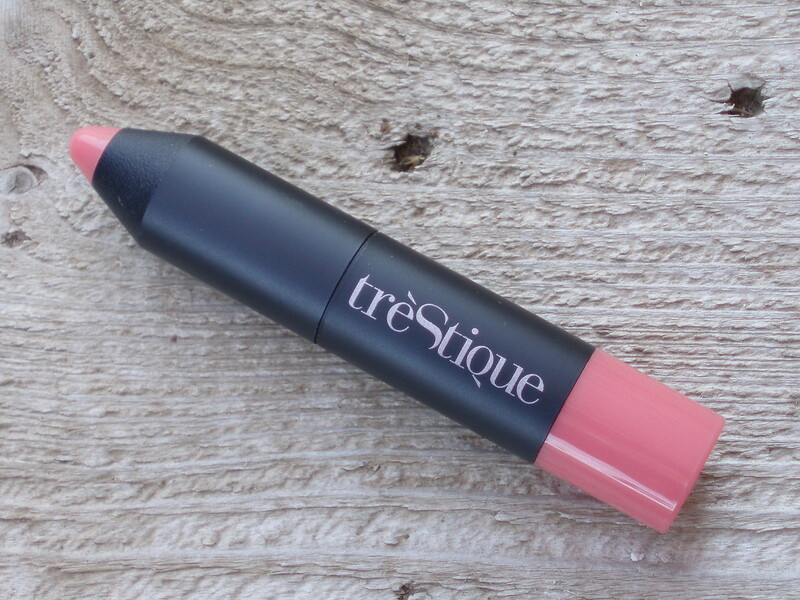 Last item is the tre’StiQue Baby Blush Stick. The shade I got is called Bora Bora Coral. I already have too many blushes that I don’t use so I think I’ll just save this for part of a goody bag for someone later on. Overall, the IT Cosmetics item made it worth it for me. I can’t stop raving about their concealers. Hey guys! 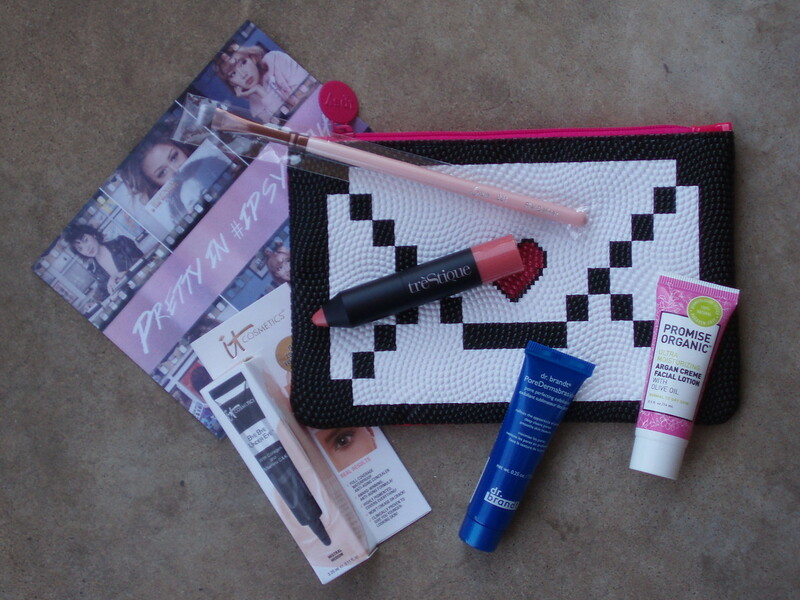 If you’re an IT Cosmetics fan then today’s your lucky day! 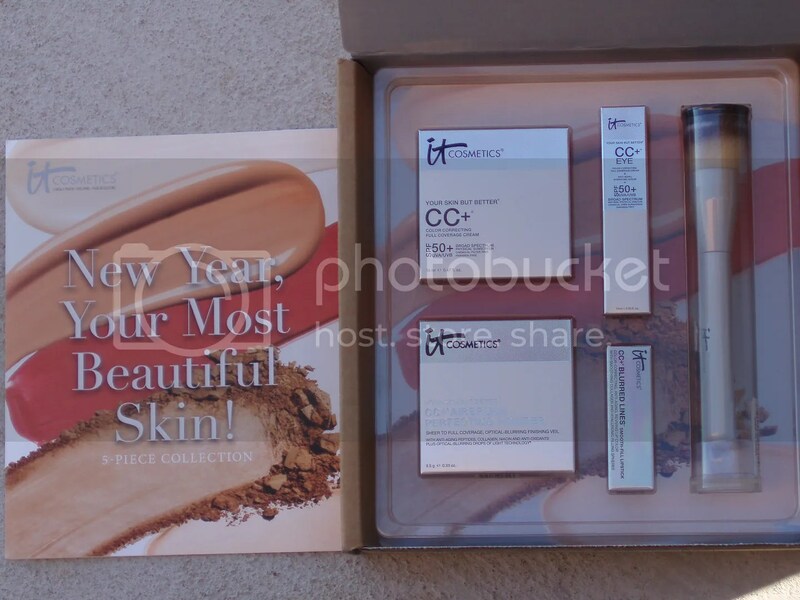 IT Cosmetics has this neat set that is on TSV on QVC all day today while supplies last. All of the products in this kit is new. It’s definitely worth checking it! I really liked their last TSV set on QVC Your Most Radiant You!. 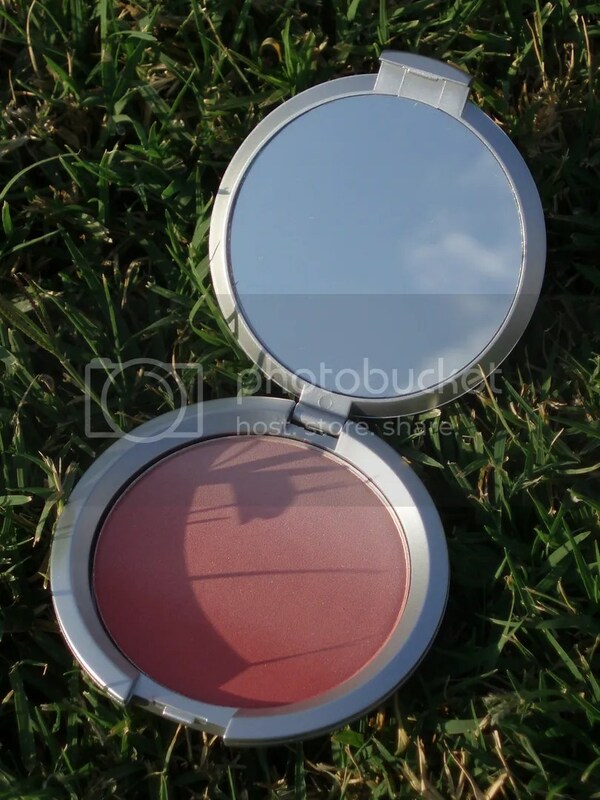 The ombre blush is just too pretty! Here’s the breakdown of what you’ll be getting in this IT Cosmetics New Year, Your Most Beautiful Skin! 5pc Collection. The item I am most excited about in this set is actually the lipstick. I haven’t tried any lip products from this brand and I’m a huge lipstick fan. The shade I got is in Love. 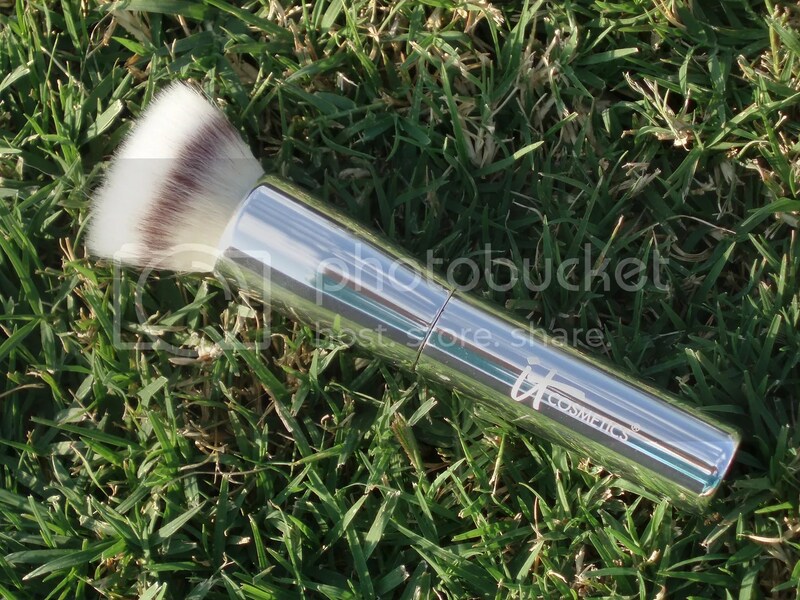 The brush is another item I’m eager to have to add to my stash. 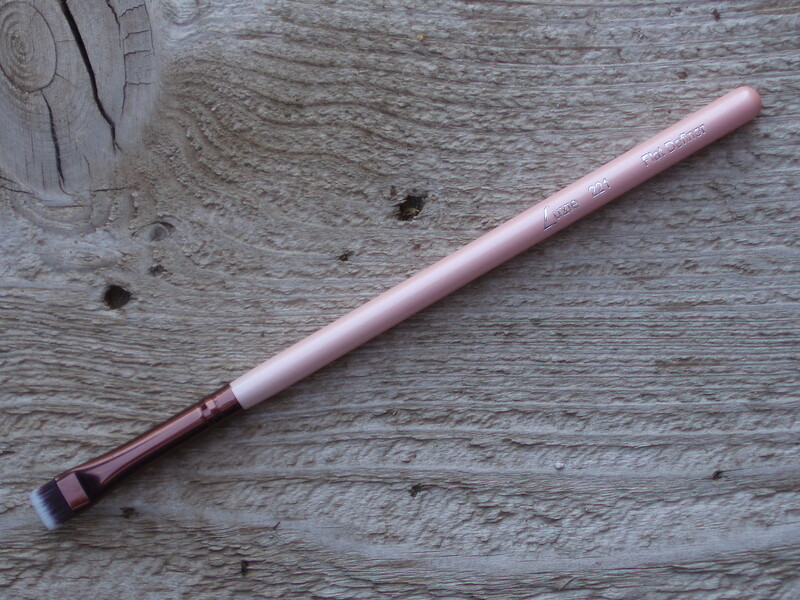 The bristles are so soft — just as I would expect from an IT Cosmetics makeup brush. 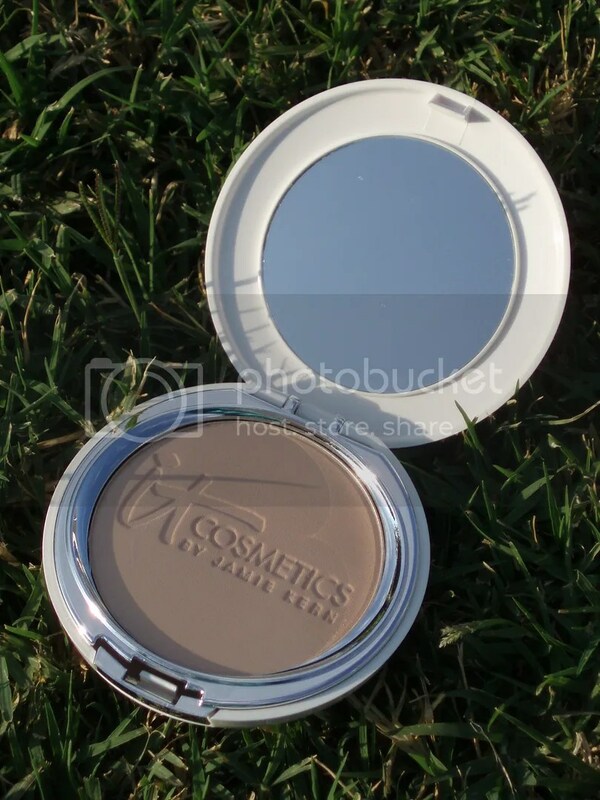 The one item I am most intrigued about is the CC+® Color Correcting Full Coverage Cream Compact. In the press release here, it speaks of it as a dispensing compact where it releases the product with the push of a button. I look forward to seeing that in action. 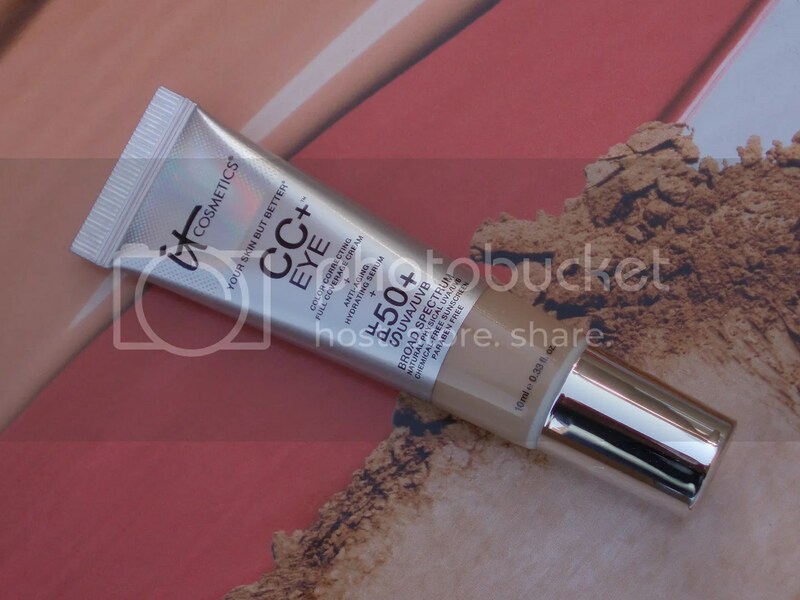 I’m curious to find out if the CC+® Eye Color Correcting Full Coverage Cream is better than their product I already own, their Bye Bye Under Eye® Waterproof Anti-Aging Concealer. The description seems to be that they’re similar in purpose of concealing at least. The newer one sounds fancier though based on the description. They’re packaged pretty nicely in a sturdy casing that holds everything just like the previous kits I’ve received. I LOVE the packaging of this kit from the individual boxes to the actual items. They all have a hint of holographic goodness that makes me giddy. This deal will run until 11:59 PM PT today while supplies last. Hey guys! Here are details for another TSV on QVC for IT Cosmetics. 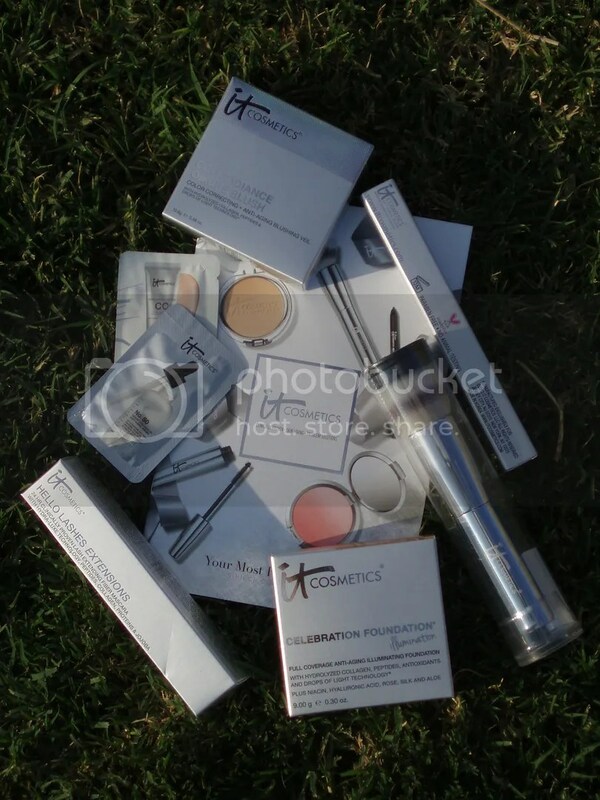 TSV deals are always a nice treat that IT Cosmetics fans look forward to! Read on for more. 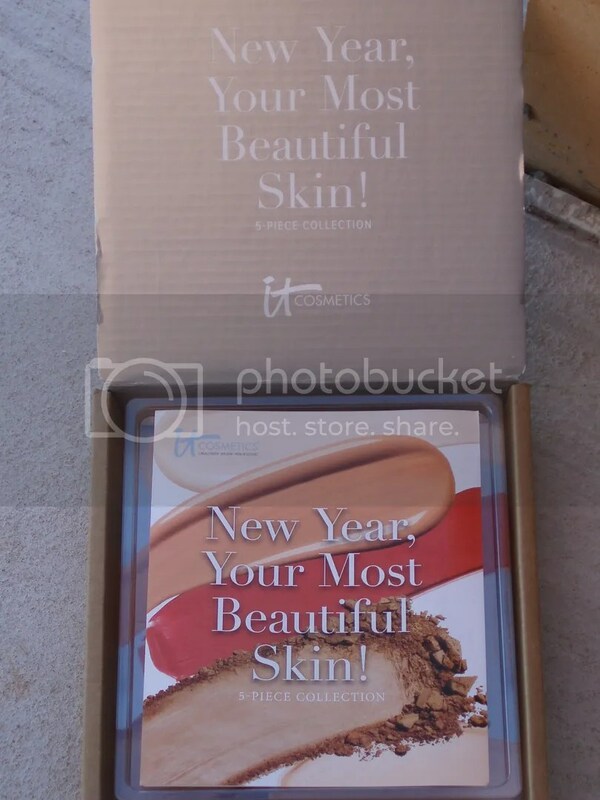 “IT Cosmetics® New Year, Your Most Beautiful Skin! Five-Piece Collection goes beyond beauty. This Today’s Special Value® is scheduled to debut on QVC® Monday, January 19, 2015, at midnight (ET) for one day only! QVC features one item each day as a Today’s Special Value, which is offered at an exceptionally low price beginning midnight (ET) until 11:59 PM (PT) that day. This new five-piece collection is the perfect way to start the new year, taking the power of skin care and coverage innovation to a whole new level! Be one of the first to experience all five brand new worldwide launches, including CC+ Eye Color Correcting Full Coverage Cream, CC+ Color Correcting Full Coverage Cream Compact, CC+ Airbrush Perfecting Powder, Blurred Lines Smooth-Fill Lipstick, and the CC+ Angled Buffing Foundation Brush. 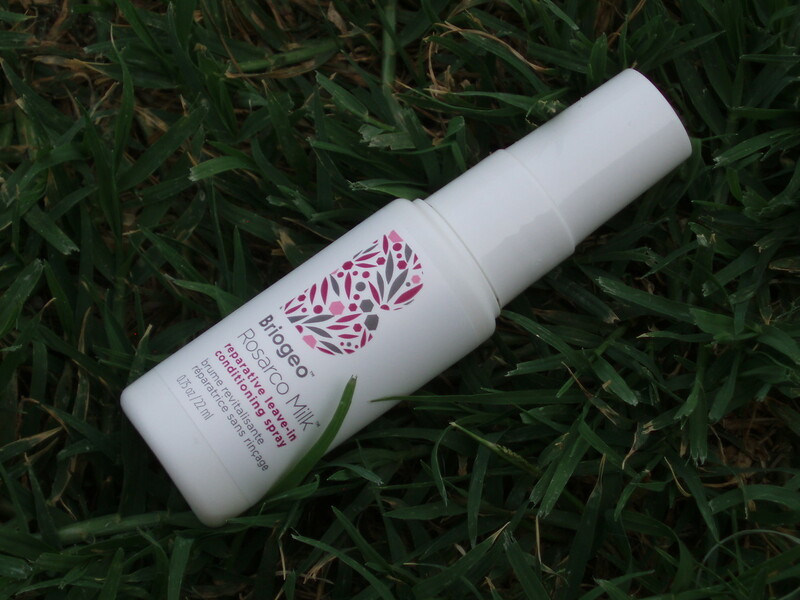 Together, it’s your anti-aging skincare, SPF 50+ and full coverage for your most beautiful skin! New! CC+® Eye Color Correcting Full Coverage Cream instantly helps to conceal skin discoloration from view, hydrates your under-eye area and features a unique Cold Spoon Technology™ cooling tip. Formulated with hyaluronic acid, peptides, hydrolyzed collagen, silk and grape seed oil, this full coverage color-correcting cream is formulated to nourish the most delicate skin on your face. New! CC+® Color Correcting Full Coverage Cream Compact is your award-winning, cult-favorite CC+ Cream in an innovative airless dispensing compact! 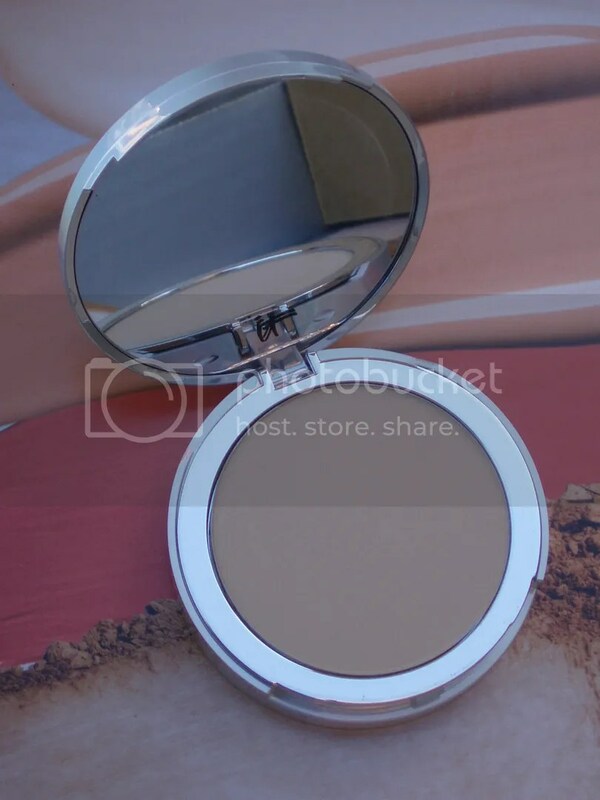 With one push of a button, this compact releases a precise amount of CC+ cream, giving you skin care, sun protection and full coverage with each application. A multitasking beauty miracle, the CC+ compact is your full coverage foundation, SPF 50+ UVA/UVB physical-only sunscreen, brightening color corrector, anti-aging serum, pore minimizing primer, dark spot corrector and moisturizing day cream all in one step! New! 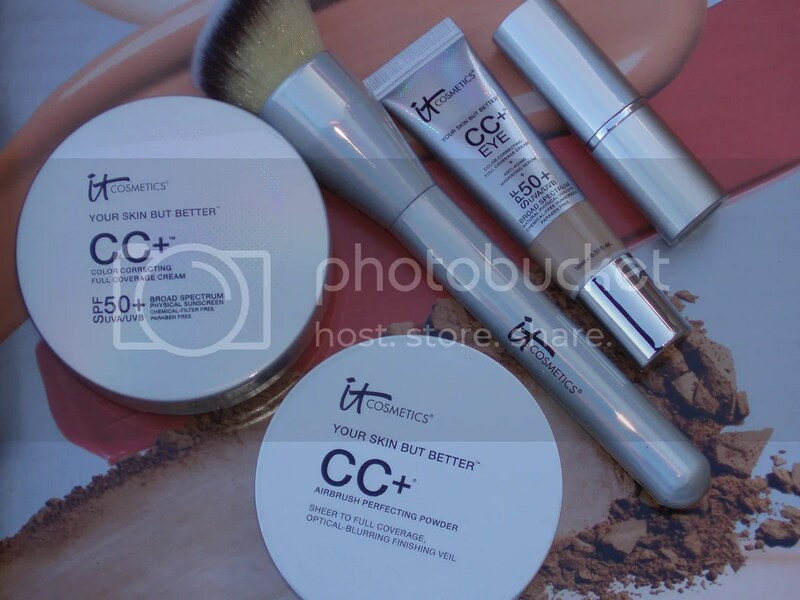 CC+® Airbrush Perfecting Powder is your lightweight, hydrating powder that is formulated to help erase the look of fine lines and pores, leaving your skin with the look of airbrushed perfection! 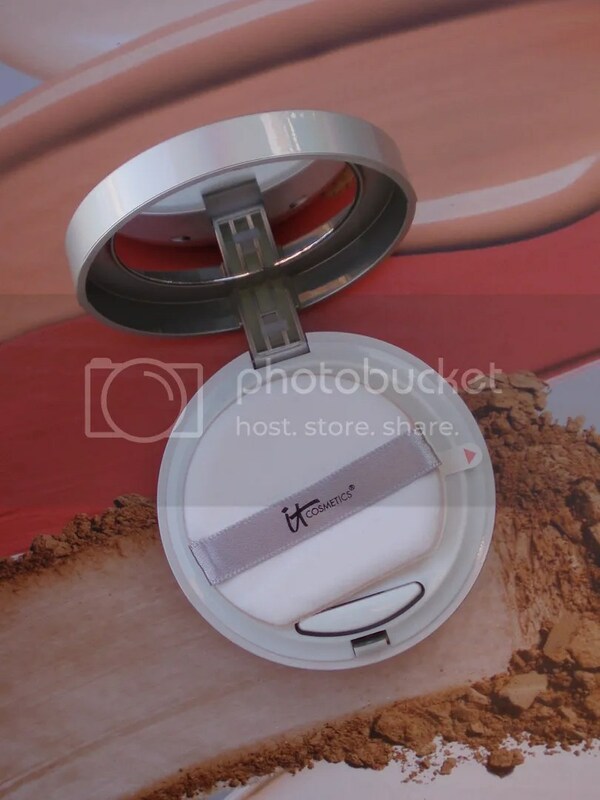 Formulated talc-free and infused with hydrolyzed silk, hydrolyzed collagen, niacin and peptides, you can wear this skin-loving powder over your makeup or clean skin. New! Blurred Lines™ Smooth-Fill Lipstick smooths the look of lip lines and adds color to your lips, giving you a natural-looking, pretty pop of color to revitalize your entire complexion! 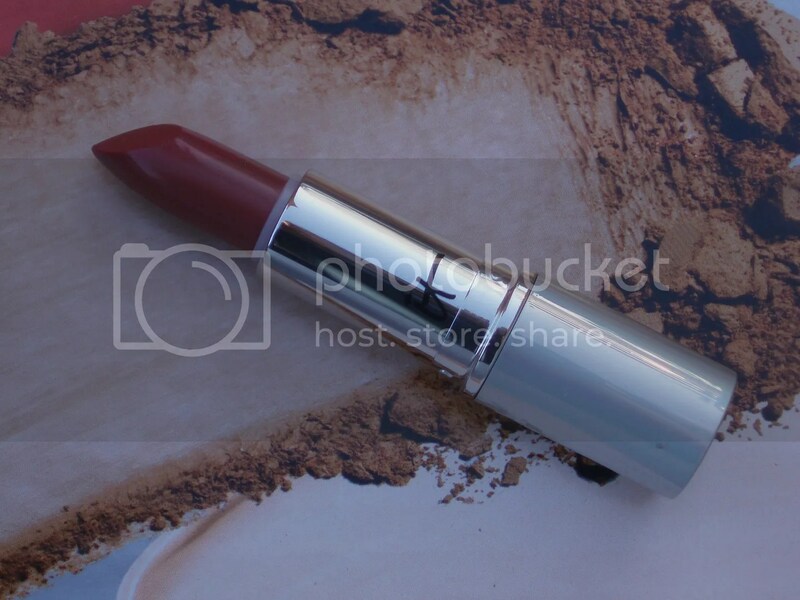 This lip-loving lipstick is formulated with nourishing ingredients including shea butter, jojoba, grape seed extract, cherry oil and hyaluronic acid. 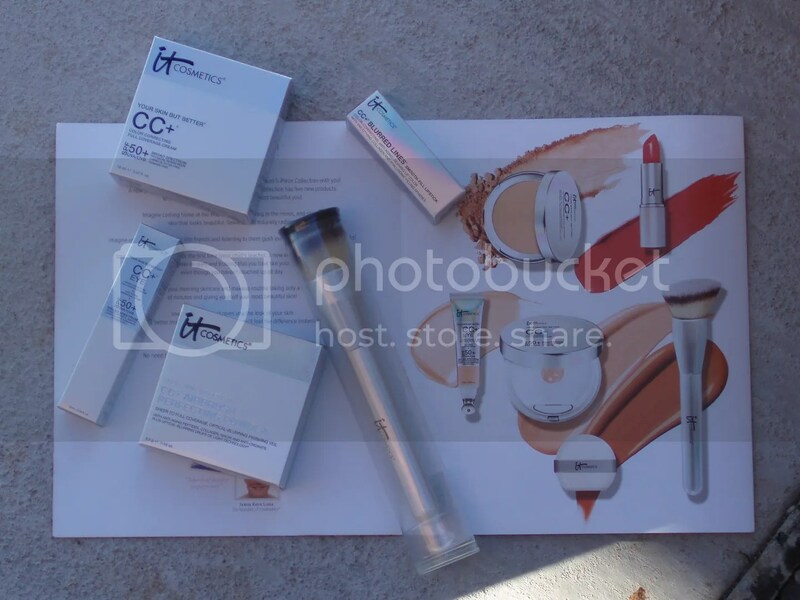 I got their TSV on QVC kits the last 2 times: IT Cosmetics IT’s All About You 5pc Customer Favorites Collection and IT Cosmetics Your Most Radiant You! 5pc Collection. I can say for a fact that this brand’s products are top notch and the awards they got for 2014 only backs up that claim (and hype as well!). Hey guys! 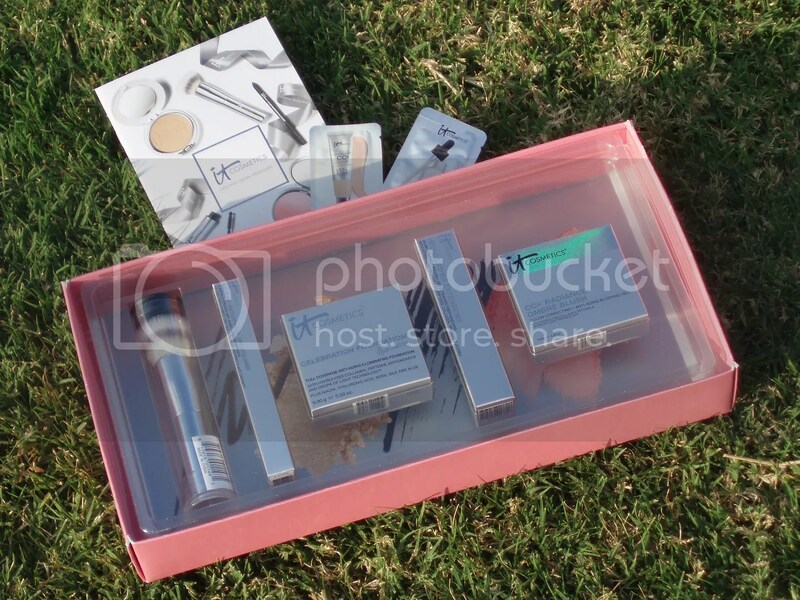 If you’re an IT Cosmetics fan then get ready to open your wallets tomorrow as this set will be on QVC Today’s Special Value starting tomorrow October 14, 2014 at midnight ET. It will run until 11:59 PM PT while supplies last. I’m not sure how much this will go for, but it’s their Today’s Special Value and these are usually great deals that go fast. 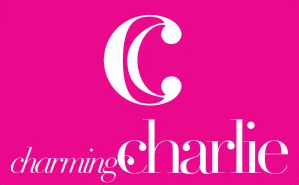 It’s definitely worth checking it out in my opinion since I almost bought another backup set of their last TSV set on QVC It’s All About You!. 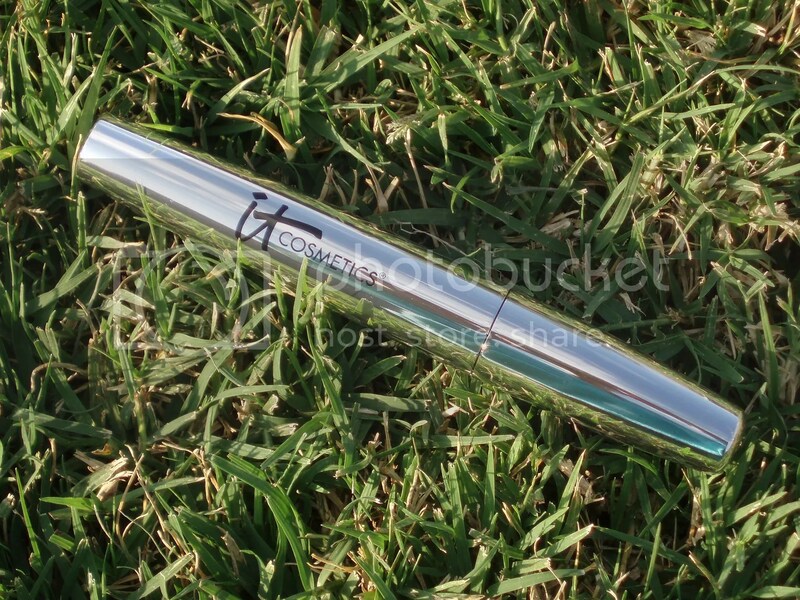 Here’s the breakdown of what you’ll be getting in this IT Cosmetics Your Most Radiant You! 5pc Collection. If you’ve been following this brand, you would’ve known that they recently nabbed 6 coveted QVC Customer Choice Beauty Award! Huge congrats to them for that achievement! And I personally can vouch for their concealer. It’s hands down the best I have ever tried. You can read my review on that here. 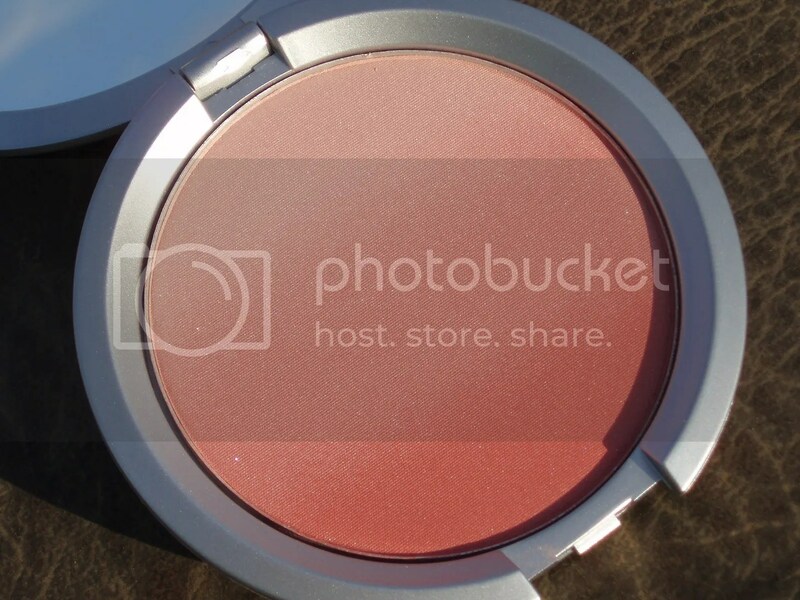 The item I am most excited about in this set is actually their blush. It looks so pretty with the ombre and the shade name is Je Ne Sais Quoi. The name makes it twice as easy for me to remember because last time I was watching IT Cosmetics on QVC they had this lip product that I was really tempted to get that has the same name. I didn’t end up getting it but as soon as I saw this blush’s name it just burned into my mind. I have used other makeup brushes from IT Cosmetics and they’re good in my opinion. The bristles are soft and they stay that way even after my basic brush cleaning regimen. I tried another brand’s makeup brushes recently and was so disappointed at the state of the bristles after just one wash. The IT Cosmetics one fared so much better, so I’m definitely happy that this came with the set. I expect the foundation to be of the same caliber or better than their older formula per se. This one is the newer version of their foundation I believe. I’ve seen the mascara being sold in a set of 3 on QVC before but didn’t want to commit to getting that much in one shot. What if it doesn’t work for me? This is a newer and different version of their mascara. I can’t wait to try it to see what it’s all about and if getting them in a bundle of 3 isn’t crazy after all. 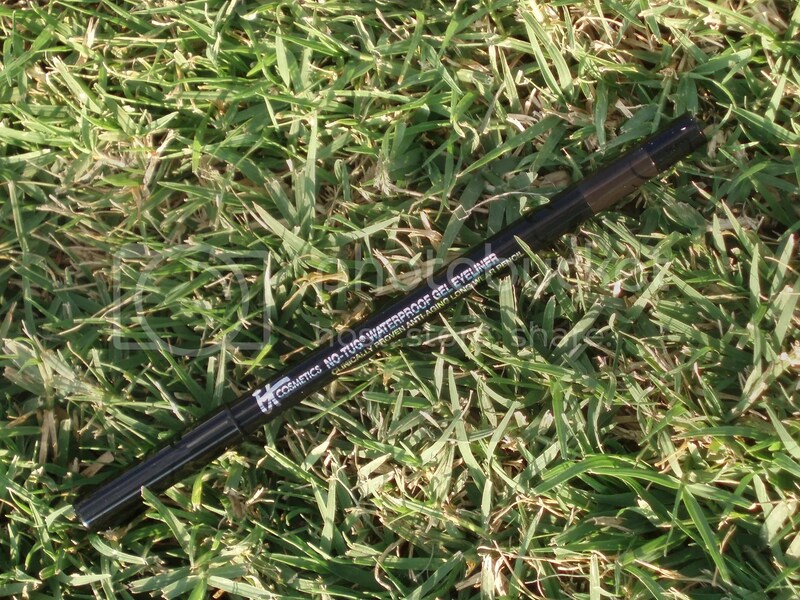 One of their eye liners won an award too and this makes me quite eager to try this one out. 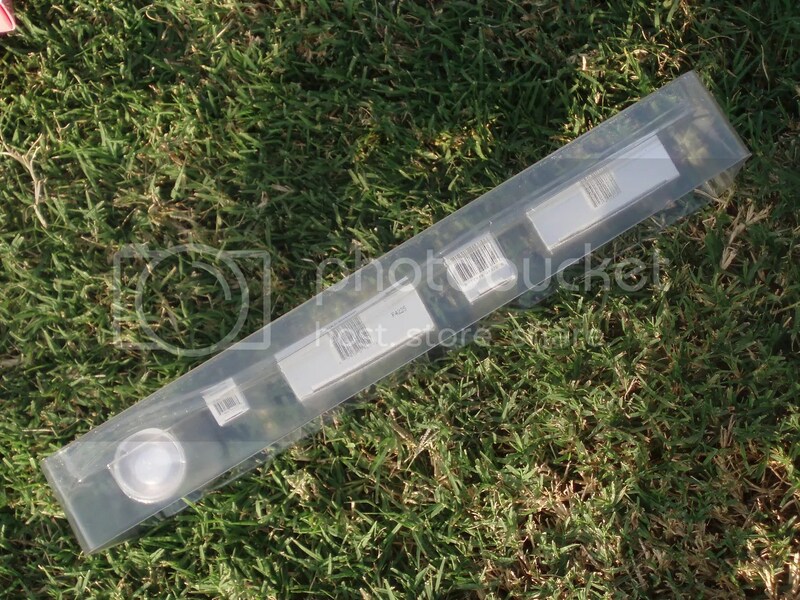 The hard plastic hold the products in place (molded to the shape of the products) and have enough space or gap around so that the sides of the boxes aren’t touching the products at all. Well done once again! Again, this will be available on QVC Today’s Special Value starting at October 14, 2014 at midnight ET. and it will run until 11:59 PM PT while supplies last.